Carl Hilding “Doc” Severinsen (born July 7, 1927) is an American pop and jazz trumpeter. He is best known for leading the NBC Orchestra on The Tonight Show Starring Johnny Carson. During the 1950s and 1960s, Severinsen put out a number of albums of jazz standards, over which he performed very melodic solos. He served as lead trumpet on many of Enoch Light’s Command Records LP’s of that era, and his soloing was featured in Tito Puente’s “Night Ritual (Afro Cuban Jazz Mini Suite)” from Puente’s classic 1957 album Top Percussion. 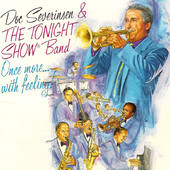 Severinsen certainly had a well-developed high-note range with an incredible amount of control and melodic sense. 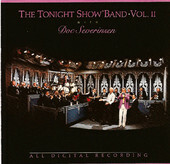 In the 1960s, Severinsen also recorded with the Clarke/Boland Big Band and the Thad Jones/Mel Lewis band. 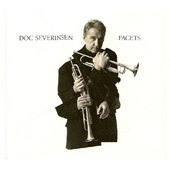 Severinsen was also the second trumpeter whose recording of the fanfare “Abblasen”, composed by Gottfried Reiche, has been used as the theme for the CBS News program Sunday Morning. 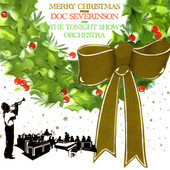 A Grammy award winner, Doc has made more than 30 albums–from big band to jazz-fusion to classical. Two critically acclaimed Telarc CDs with the Cincinnati Pops Orchestra showcase his multifaceted talents from Bach to ballads. 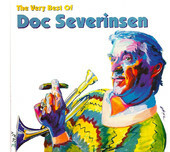 The Very Best of Doc Severinsen reprises fifteen of Doc’s signature pieces. His other recordings include Unforgettably Doc with the Cincinnati Pops on Telarc, and the Grammy-nominated Once More With Feeling on Amherst. 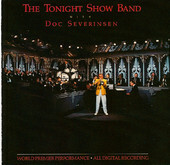 He received a Grammy Award for “Best Jazz Instrumental Performance – Big Band” for his recording of Doc Severinsen and The Tonight Show Band-Volume I.
Severinsen also released albums that have a pop rock basis, some of which include electronic instrumentation components, such as Brass Roots, Good Medicine, and Facets. These albums were received with varying degrees of success by the public. He recorded two albums of standards with Henry Mancini and his orchestra in the 1970s, Brass On Ivory and Brass, Ivory And Strings. Today, Doc has not lost his flair for the outrageous fashion statement or his trademark wit. But his gregarious nature has never interfered with the fact that he has been one of the greatest trumpeters and musicians of the last 60 years, respected in the worlds of classical music, jazz, big band, and now even world music. In the end, Doc Severinsen has transcended his celebrity and rejoiced in his remarkable ability to simply play his trumpet as well as he can. Which has proven to be good enough for the millions of people who count themselves his fans.